A great hair care duo, the Christophe Robin Cleansing Purifying Sea Salt Scrub (250ml) and Regenerating Mask with Rare Prickly Pear Seed Oil (250ml) will work together to soothe, replenish and hydrate your hair and scalp. 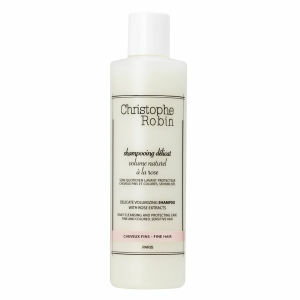 Ideal for both natural and coloured hair, the two Christophe Robin products will keep your head healthy. This soothing scrub rebalances your scalp and also helps to remove irritating dye residue after colouring, relieving stinging and itchiness. A natural exfoliant, the sea salt stimulates micro-circulation, whilst a 100% plant-derived agent provides intense and long-lasting hydration, even once the scrub has been rinsed off. Your scalp is immediately soothed, leaving it feeling comfortable, whilst your hair will feel clean and lightweight for longer. 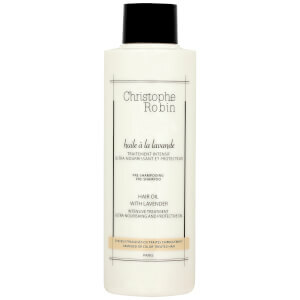 Perfect for very dry and damaged hair, this replenishing mask restores and revitalises your locks from root to tip. Enriched with pure prickly pear seed oil, it has antioxidant and regenerative properties, penetrating deep into the hair to repair it from within. Not only does it repair and protect the lengths of your hair, it also stimulates your scalp and prevents split ends and further breakages. Suitable for coloured hair, the mask contains inula flower extract which restores the pigments of both natural and dyed hair, leaving your tresses looking vibrant, healthy and full of vitality. Two of my favourite products packaged together at an even more attractive price - yes please! The salt scrub shampoo rejuvenates and refines my scalp from the product buildup leaving it squeaky clean. I don't use this more than once every 2-3 days because it can dry out your hair. Tip: Try to concentrate the "action" at the base of the scalp and avoid spreading down to the ends if you have longer tresses. I really love using the mask also. Don't underestimate the impact of a tiny dollop. 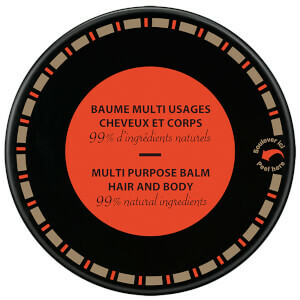 It smoothens any frizzy and split ends you might have, leaving your hair in tip-top condition. After dying my hair and having some damage done, I appreciate the use of this frequently - every other day. 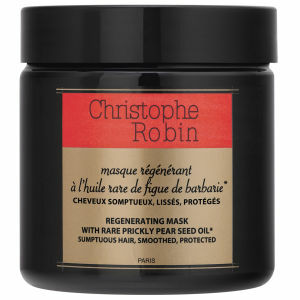 Christophe Robin Cleansing Purifying Sea Salt Scrub makes your scalp feel so comfortable and clean feeling. I like it, I think I can not do without it. And the mask is a good partner, and it will make you happy all day long.